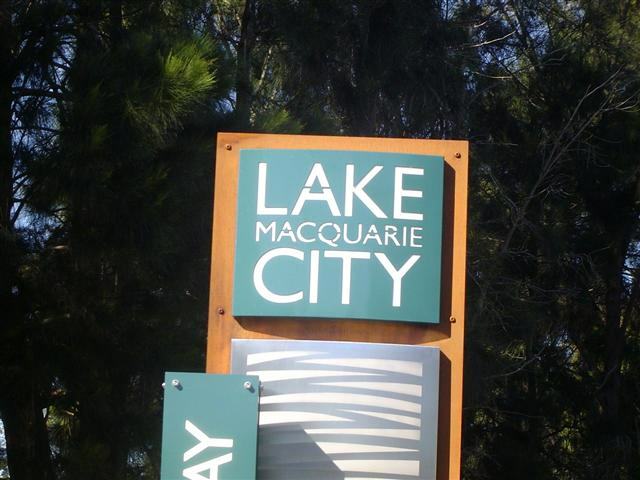 city is, of course, that vast expanse of deep blue water, the lake. It was discovered in 1800 and much of its important history is associated with the original inhabitants, the Awabakal peoples. On our arrival we met Ken, the owner of Apollo Yacht Charters at Valentine Wharf, got a few quick instructions from him, loaded our gear aboard the 35-foot Beneteau, Pisces, and were soon on our way. We motored off toward Toronto on the western side of the lake and when we were well clear of the marina, dropped anchor in a sheltered bay and set about unpacking and organising lunch. when, after only a few moments, he said he had something I was really surprised. Well, it put up a huge fight, it simply did not want to be caught but in the end John won and reeled in his catch. The hardest part, for me, was keeping a straight face! 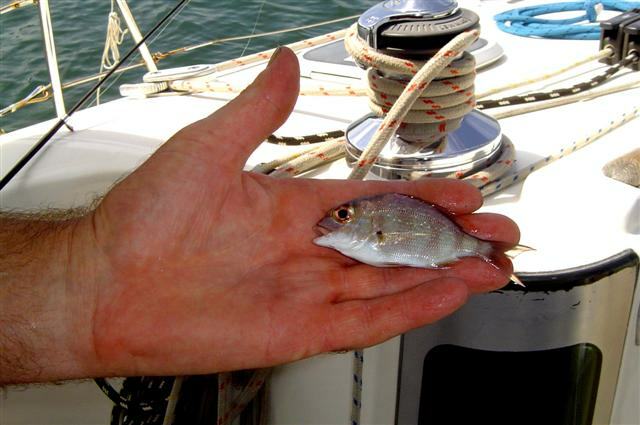 Is this what they call a “fish finger”? Of course, he returned it to the water with a promise to come back when it had had time to grow up! After lunch it was time to hoist the sails. 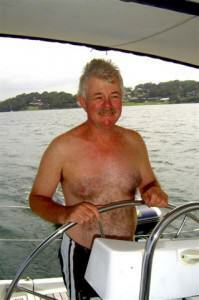 There was a southerly breeze blowing and I was glad that the water was relatively calm for my first lesson in sailing. By the time we’d travelled south past the townships of Belmont, Rathmines, and Wangi Wangi, I knew a whole lot about tacking and keeping the wind in the sails (so to speak). Not that I was very good at it and I learned the hard way that it is definitely NOT like driving a car! 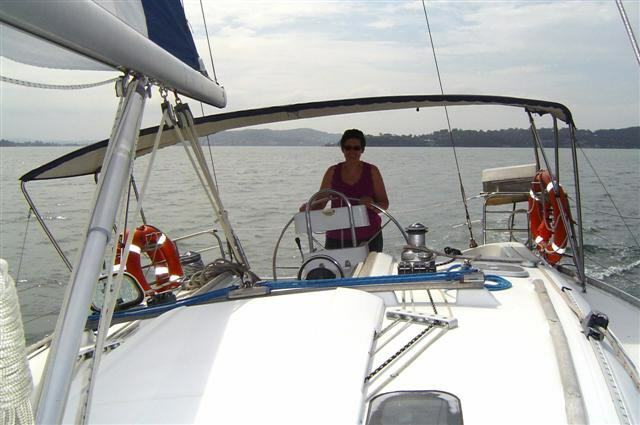 I can’t imagine what other sailors on the lake must have thought when they saw us going around and around in circles but if John had dared to make one of those “woman driver” comments he would have been a “man overboard” very quickly! Around Wangi Wangi Point and past Pulbah Island we sailed. I started to get the hang of it and managed to keep the boat pointing in the right direction but then the wind picked up and John said it was time to look for a sheltered anchorage for the night. 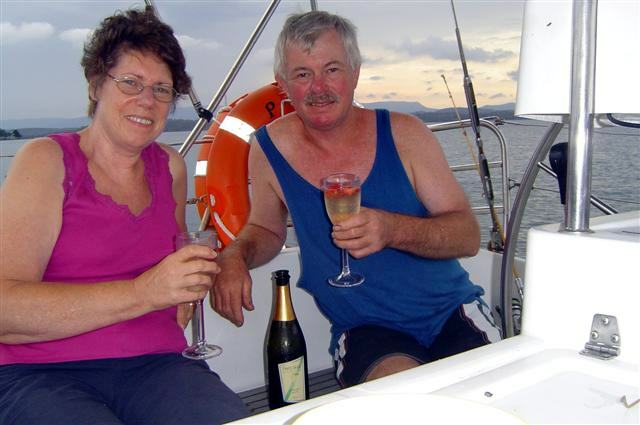 There are any number of little bays offering shelter from the wind and we found a good spot in a bay between Fig Tree Point and Shingle Splitters Point, dropped the sails and the anchor, and there we stayed, sitting on the deck, watching the sunset, and sipping our Two Tails bubbly . . . it just didn’t get any better than that! Of course, there was a fishing rod right beside John with the line dangling in the water but I think I dampened his enthusiasm a little when I offered to get the tweezers from the first aid kit! What a marvellous experience sleeping on a yacht is! I slept better than I do in my own bed, even if I did wake up early. It was a little cloudy but we were still able to watch the sunrise. There was an early morning canoeist paddling across the lake as the sun was coming up and it was quiet and very peaceful. We weren’t in any particular hurry and just took our time over breakfast and showers but it was while I was in the galley tidying up after breakfast that I heard the unmistakeable “plop” of the sinker hitting the water as John threw a line in. The previous day’s “tiddler” hadn’t deterred him in the slightest. the dinghy, a zodiac, across to the beach. The water was not cold at all and shallow for quite some distance out and we stayed there for about a half hour. A swim and a walk on the sand were just what we needed; it was a very warm day. 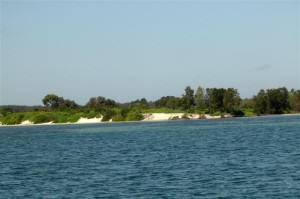 A strong breeze was blowing by the time we decided to leave the beach; it was time to go sailing! Back aboard the Pisces, John set the sails and we were off. The breeze was nowhere near as strong as it had been the day before which made things easier for me; my second lesson was much more pleasant and successful! Well, at least we didn’t go around in circles this time! 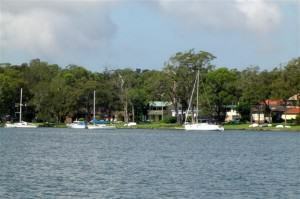 We explored Kilaben Bay and Eraring Bay, marvelling at some of the beautiful houses lining the waters edge. Soon it was time to look for a safe anchorage for the night. The direction of the wind played a huge part in our choice of mooring and we sailed back around Wangi Wangi Point and dropped anchor in a little bay at the Lake Macquarie Nature Reserve opposite Pulbah Island. It was a brilliantly clear evening and soon the stars were beginning to appear. What a spectacular sight! John, of course, was fishing, the stars held no interest for him that night. He caught a lot of fish, his estimate since the start of our trip? About 25 but unfortunately there wasn’t one of legal size and so they all went back into the water. 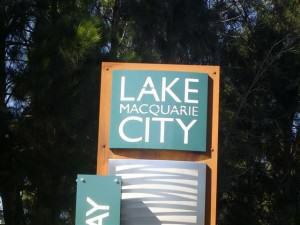 Lake Macquarie has been over-fished for years and it’s only in recent times that commercial fishing has been banned here. 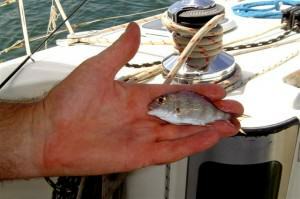 Fish stocks are, once again, on the increase and these little fellows need time to grow up. 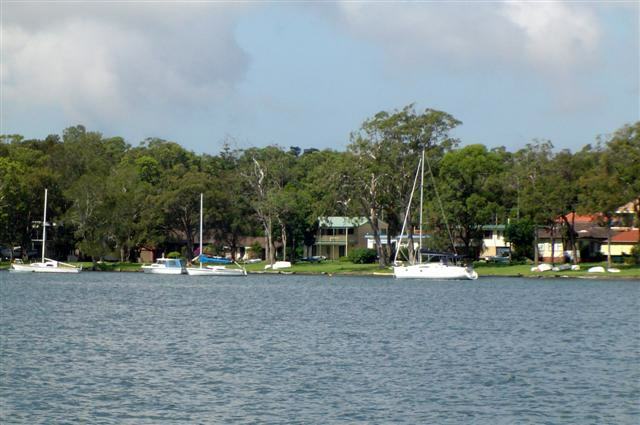 an hour’s drive north of Sydney and, at 4 times the size of Sydney Harbour, is one of the largest lakes in the southern hemisphere. 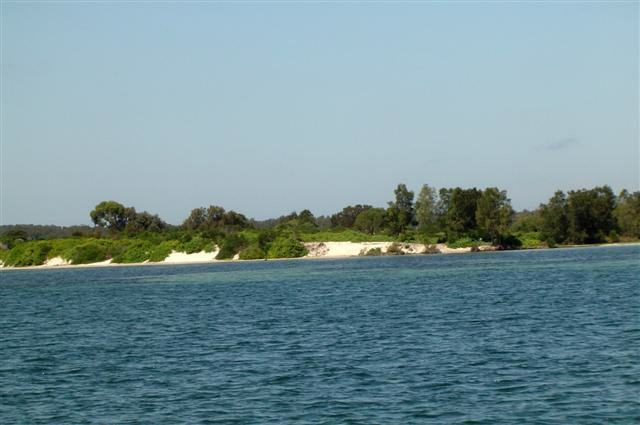 It has 170 kilometres (105 miles) of protected foreshore, is 24 kilometres (15 miles) long and 3 kilometres (approximately 2 miles) wide at its widest point. As I said before, the lake is the centrepiece of the city but there is so much more here than just that. The mountains, including the Watagan National Park and State Forest Area, walking trails and cycle paths, and arts and culture, are just some of the amazing attractions in this area. The famous artist, the late Sir William Dobell lived in the City of Lake Macquarie and his home and studio, Dobell House, located on the northern shores of the lake, are open to the public. The Pisces belongs to Apollo Yacht Charters at Valentine and for more information about chartering a yacht on Lake Macquarie log on to www.apolloyachtcharters.com.au or call Ken direct on 612 4943 6239.